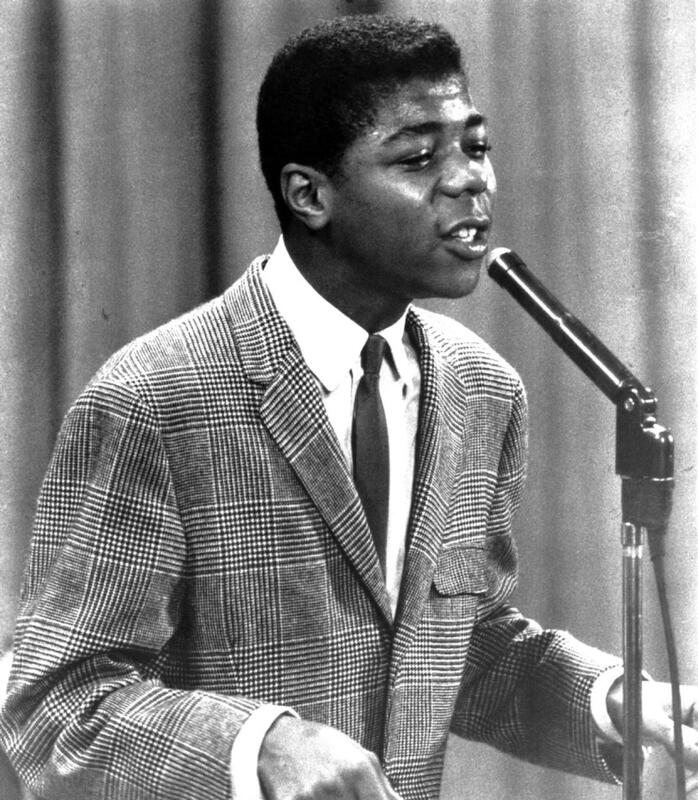 Franklin Joseph "Frankie" Lymon (September 30, 1942 – February 27, 1968) was an African-American rock and roll/Rhythm and blues singer, best known as the boy soprano lead singer of a New York City-based early rock and roll group called The Teenagers. 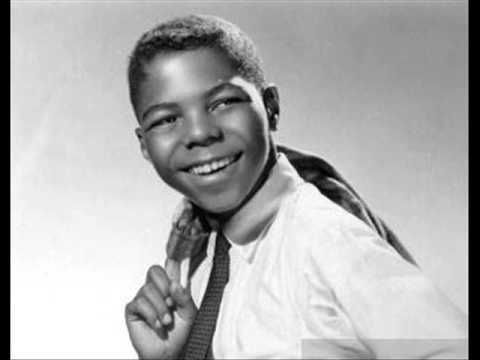 Frankie Lymon was born in New York City on December 30, 1942. When he was 12 years old, Lymon was working in a grocery store when he met the Premiers, a group of singers from the neighbourhood. 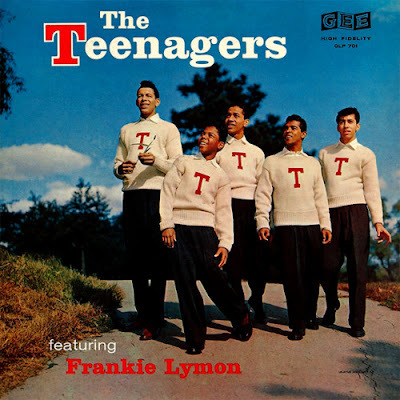 Having sung gospel music in his father’s group, Lymon made the youthful transition to secular music, joining the Premiers (Herman Santiago, Jimmy Merchant, Joe Negroni and Sherman Garnes) who renamed themselves the Teenagers. 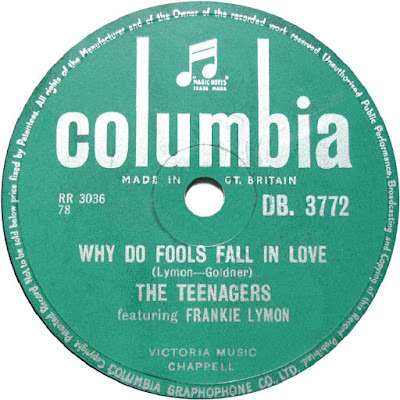 In the spring of 1955, the group got together and rehearsed the song “Why Do Birds Sing So Gay?” Soon after, an audition was arranged, the song was transformed into “Why Do Fools Fall in Love,” and by February 1956, the song had reached Number One. Lymon, who had just started junior high, suddenly became a star and an idol. 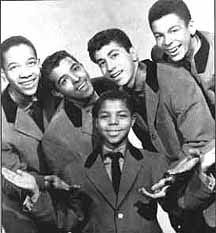 The group went on to star in Alan Freed’s package shows and movies and appeared on The Ed Sullivan Show and American Bandstand. 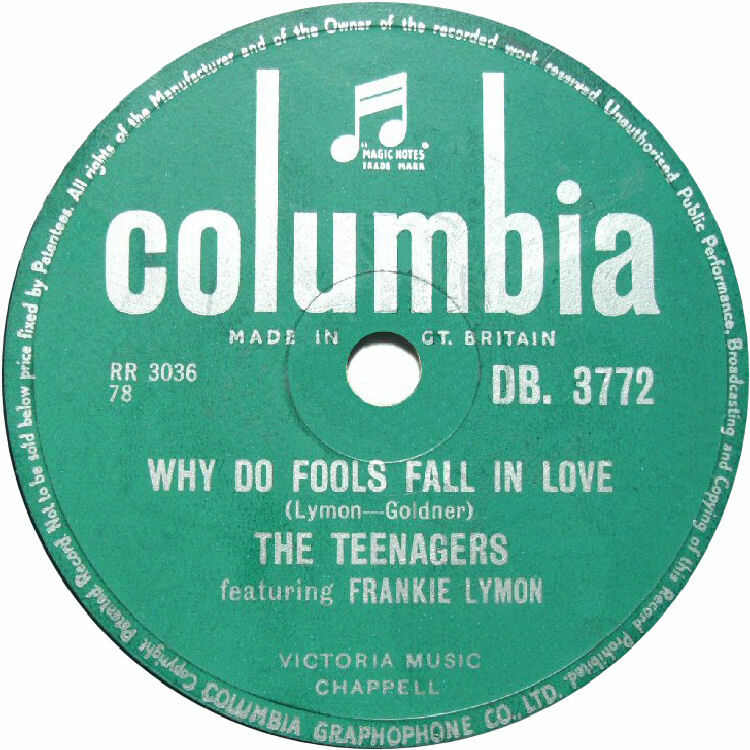 The Teenagers toured America and went to London, where they appeared at the Palladium. By the end of 1956, Frankie Lymon and the Teenagers, with Lymon singing the high parts in his clear, pure boy soprano, were one of the most popular groups in the world. The group continued to release several memorable songs over the next few months including, 'Baby, Baby,' 'I Want You To Be My Girl,' 'I'm Not A Juvenile Delinquent,' 'Goody Goody,' 'Please be Mine,' 'Paper Castles,' and 'ABC's Of Love,' among many others. After being together for about 18 months, and numerous successes, Lymon's manager wanted him to try a solo career. Lymon took his manager's advice and after only playing half way through there London Palladium Tour in London, England, Lymon left the group behind and headed out on his own. Both Lymon's solo career and the 'Teenagers' career without Lymon were unsuccessful and both parties fell apart. Though only together for a short period of time, the group did help pave the way for such personalities as, 'The Jackson 5,' and Michael Jackson on his solo career. He also gave Motown founder Berry Gordy the idea to model his entire Motown production approach on him. Several artists have also used Lymon's type of music and sound including Diana Ross, Smokey Robinson, and Len Barry. Known for his 'hard way' of living Lymon's later life was plagued by several bad marriages, alcohol abuse, drug use, and his lust of fast cars. He was polygamist and allegedly never filed divorce on any of his wives and remained married to three women up to his death. 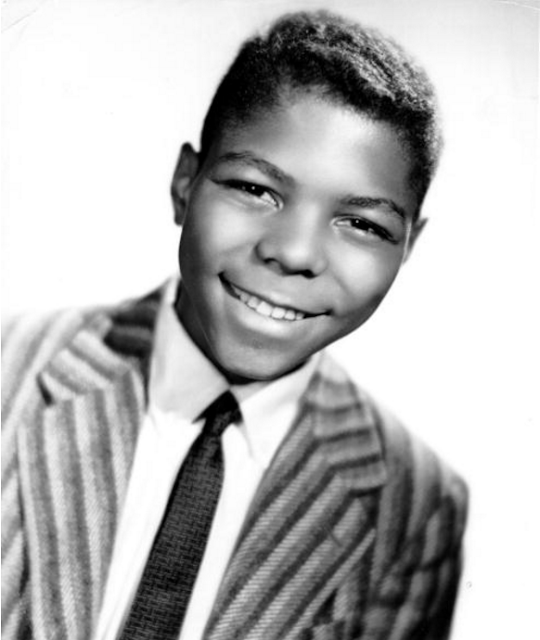 On February 27, 1968, at the young age of 26, Lymon died of an accidental heroin overdose. Following an outpouring of grief, Lymon was interred in the Saint Raymonds Cemetery in The Bronx, New York. In 1992, a court battle ensude over the rights of the group's recording of 'Why Do Fools Fall In Love.' Originally it was noted Frankie Lymon was the author of the song, but in December 1992, the United States Federal Court ruled that Herman Santiago and Jimmy Merchant co-authored the song. 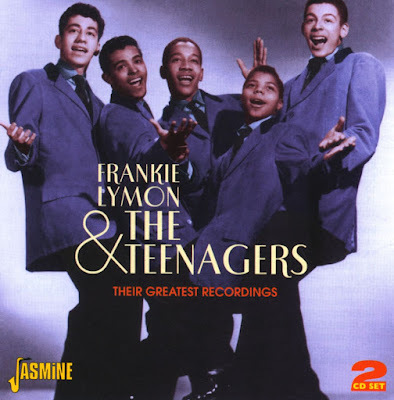 In 1996, four years after the first ruling the Court of Appeals for the 2nd Circuit on the basis of the statute of limitations and authorship, gave the song rights back to Frankie Lymon and music producer Morris Levy. In 1993 the group were inducted into the Rock and Roll Hall of Fame in Cleveland, Ohio, and in 2000 the group were inducted into the Vocal Group Hall of Fame in Sharon, Pennsylvania. Frankie was posthumously awarded a Star on the Hollywood Walk of Fame for Recording at 7083 Hollywood Boulevard in Hollywood, California on February 1, 1994. Also that year a film based loosely on Lymon's life was released, simply entitled, "Why Do Fools Fall In Love." 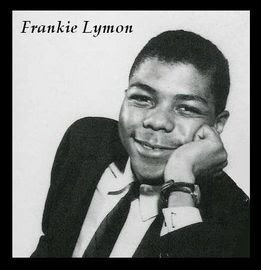 The most comprehensive release on CD yet of the recordings of Frankie Lymon, one of the most influential performers of the '50s. Includes all of his hits with 'The Teenagers' and solo classics like 'Why Do Fools Fall in Love', 'Baby Baby' and the unforgettable, 'I'm Not A Juvenile Delinquent', as well as the A and B sides of all his US singles plus album tracks. Managed to get all but 6 of the above from redmp3. Five were from other CD’s and one YouTube conversion. Artwork from All Music. Very impressive post! Thanks for sharing! !